Our second strategy, after finding previous fact-checking work, it to “go upstream”. We move to this strategy if previous fact-checking work was insufficient to our needs. What do we mean by “go upstream”? Of course we can check the credibility of this article. Who is the author? What is the site? When was it last revised? Text from the article with sentences mentioning Daily Dot highlighted. Notice how the Daily Dot, another publication, is the source of each fact, e.g. 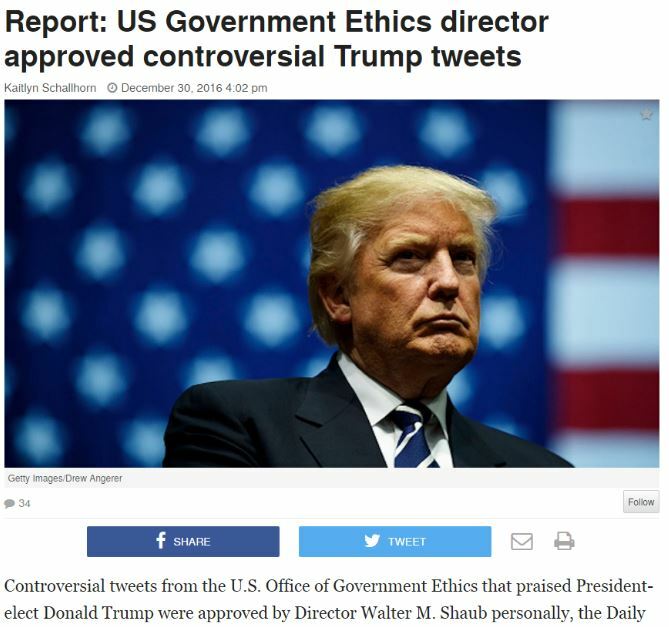 “the Daily Dot reported that Shaub sent an email”, etc. All the information here has been collected, fact-checked (we hope! ), and written up by The Daily Dot. It’s what we call “reporting on reporting”. There’s no point in evaluating The Blaze’s page. So what do we do? Our first step is to go upstream. Go to the original story and evaluate it. When you get to the Daily Dot, then you can start asking questions about the site or the source. And it may be that for some of the information in the Daily Dot article you’d want to go a step further back and check their primary sources. But you have to start there, not here. Go Upstream to Find the Source Copyright © 2017 by Michael A Caulfield. All Rights Reserved.